feeling quiet this week, undoubtedly a response to a more-lively-and-public-than-feels-natural work life. i can do both pretty well; however, it starts to make me feel like a split personality, which can lead both personalities into their polar opposite corners, i guess. not taking as many photos as i’d like but still enjoying the instax mini from time to time. 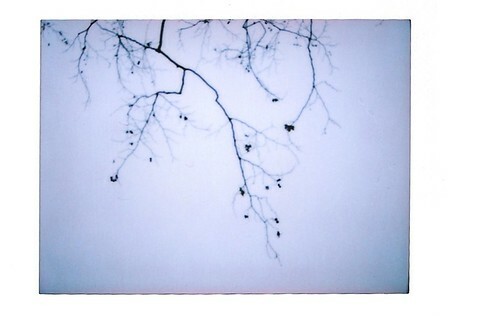 maybe i’m slow, but i’m just now realizing how much instant photos depend on good light. good, bright light. without it, might as well skip the shot. am i right? been doing a little tv escapism. i’ll try not to be ashamed of my choices as i share them with you. on a less shame-inducing note, still working my way through season one of in treatment and started jean-michel basquiat: the radiant child last night but fell asleep (not because it wasn’t good). anyone seen it? makes me sort of long for what seemed like much simpler artistic times of 1970s nyc. technology fears sort of stop me up creatively. what about you? anyone watching portlandia? heard it’s good. oh an reading, you ask? oh, i don’t read offline anymore. are you kidding? ha!